After more than ten years of wedding planning and rubbing elbows in the wedding industry, I’ve seen A LOT. But what I haven’t seen is a fun wedding resource that benefits the vendors and gives the brides and grooms a good look behind the social media posts of pictures and thought out marketing strategies. Don’t get me wrong, I love the online resources and magazines that are at the fingertips of every bride and groom out there. But the reality is that money talks and most of the “referrals” you see online are simply the vendors that pay to advertise on that site or in that magazine. Most of the time, the editors of these resources have no idea who these vendors are, by no fault of their own, of course. Taking it even further, I have been to organized conferences with speakers that are giving advice to other wedding professionals and, as I look at the panel, I wonder where the organizers got the idea that these vendors are the best of the best. Nine times out of ten, having a good website, or knowing how to market yourself can convince anyone of anything. But if anyone ever came to shadow these vendors on a wedding day or spoke to real couples that have worked with them, perhaps they would realize that they have no business speaking to a group of industry professionals who, in some cases, have more experience and better reputations than them. My point is not to bash anyone, but my point is that there are so many people contributing to the wedding world, and no one knows who is on the other end of that contribution. I have talked previously about wedding magazines and other online blogs that have people writing about wedding planning and giving “how to” advice, yet they have never even so much as attended a wedding much less planned a wedding or interacted professionally with the industry. My hope is to fill the gap by giving brides and grooms a different way to find vendors. I’d like to work hand in hand with the viable online resources that we do have and continue to educate the wedding world with WEDucation! WEDucation is a new YouTube channel for wedding vendors and for couples (and their parents) that are planning weddings. Each week, I will interview a different vendor so potential clients can get a feel for the personality of the vendor and their business plan. I want vendors to have the opportunity to speak for themselves and sell themselves to the clients that they want to reach well beyond how good or bad their social media might be. Wedding vendors need to have a wider range than just a good marketing degree in order to label them as “viable” or “the best” so now is the chance for couples to really see who’s who and what everyone has to offer in a personal way! Plus, this is a way for couples to know how to find the vendors they are looking for, what information to come to the table with, what decisions they will need to make along the way, etc. Each vendor will be answering questions about everything from the inquiry process to the booking processes and beyond! I will also be taking subscribers on a tour of the venues so they can see the space and get a description of a typical set up giving couples a chance to see more than a few online photos. We will also feature panels of vendors answering any and all questions related to wedding planning and the wedding industry. Focusing on the New Orleans market will be the goal, initially, but let’s see where it goes! 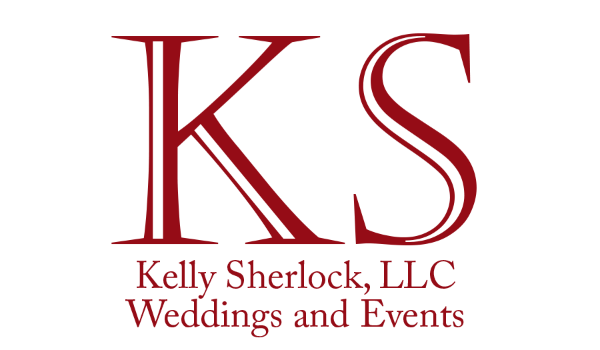 ANY vendors out there that would like to be featured on WEDucation and speak out about your business, please reach out to me via email at kelly@kellysherlock.com. If anyone (a vendor or potential client) has ideas of things they would like to see or questions they would like included in the interviews, shoot ‘em on over to me at the same email address. Look for the first few episodes coming up where I take you through the Chicory and show you it's many beautiful spaces and you'll see my interview with the fabulous Herb of Herbivore Floral Designs! We are just getting started with this and we’re hopeful that this will be a helpful resource that benefits both sides of the industry and gives couples and true representation of real, viable, professional vendors in a saturated industry where anyone can market themselves as anything without really having to prove it. Plus, this is just a fun way to search options!!! Have some fun people - you’re planning one of the most important days of your life so have some fun with it!